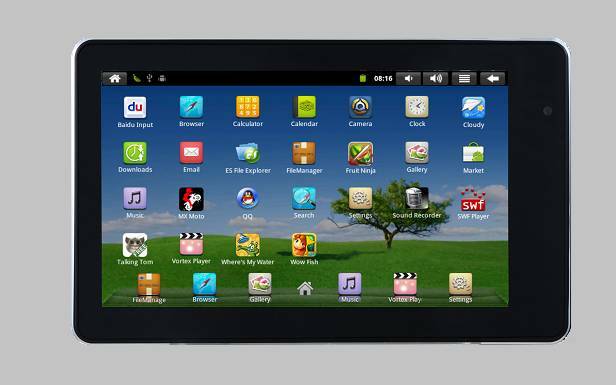 Penta T-pad IS703C is Android Based tab have Android 4.0.3 Operating system and ARM Cortex A8 1 GHz processor. The display of Penta T-pad IS703 C has 7 inch LCD display have 800X 480 pixels screen resolution, Penta T-pad IS703C has GC-400 Graphics processor and 3D enable features. Main memory of device have 1GB RAM and storage capacity of device have 8GB and can be expanded up to 32 GB via Micro SD card. Body dimension of device is 215 X 152 X13.5 mm and weight of device is 370 gm. For the connectivity the device have Wi-Fi, USB , 2G and 3G dongle Support , memory card slot , HDMI ports. Business Features are Email, E-book Reader, PDF, Word, Excel, Power Point Reader, TXT, EPUB, document viewer and document editor.